The use of outcomes instrument is an efficient and relatively simple method for measuring and understanding of the response of a patient to treatment being offered. With a better understanding of the patient’s response to therapy interventions, therapists can make better and informed clinical decisions– and thus create improved patient outcomes. For this software to best fit their goals, it is necessary to mention the Physical Therapy EMR solution that offers a flexible and intuitive way to produce electronic medical records (EMR) and the paperwork. This facilitates the quality of patient outcome for physical therapy and rehabilitation fee. The physical therapy EMR software can be regarded as the best physical therapy software, which makes it easier to fill in your documentation and to meet these requirements. This is particularly essential if you want to arrive at conclusive outcomes. Accurate physical therapy documentation is important and can be achieved via a physical therapy EMR software solution that offers digital patient records with daily progress reports, clinical outcomes, evaluations, document scanning, and management. The classification of patients is also essential to outcome tracking and reporting process because it makes possible the creation of homogenous groups. This, in turn, enables you to make more accurate comparisons when evaluating the results among therapists and clinics. This treatment based classification can be used for neck and back pain. For the conditions of the peripheral joints, use a pathoanatomic classification, which is informed by my PT diagnosis. 1) Assess patients’ responses to treatment interventions. 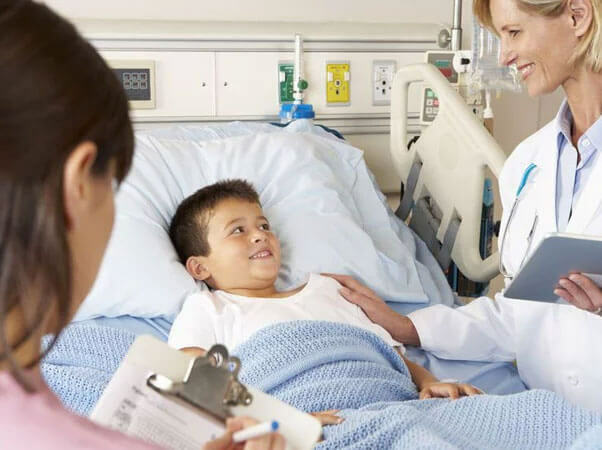 Administering outcomes allow the evaluation of not only changes that occur from visit to visit, but also changes in the response of the patient to treatment on several visits. In other words, with the help provided by outcomes tracking, you will be able to see and assess trends. Moreover, by analyzing aggregate data from patients with a particular condition, you can gain relevant information about average improvements in outcomes, GROC, pain for each episode of care and per visit for that particular body region. If there is an improvement in a patient’ outcome score, NPRS, and GROC that exceeds the minimum clinically important difference (MCID), be sure that the treatment is effective, and you can continue to trust the therapy program. You can also determine objectively when the patient is ready for discharge. On second thought, if the results or outcomes are virtually unchanged, or if they have improved minimally since the first visit, this is a clear indication to reassess the patient, ascertain the reason for the lack of improvement, and consequently, make significant adjustments and change the interventions and treatment plan. You can then assess the response of the patient to the adjusted intervention, with a continuation of the cycle until the patient is discharged. There is a practical clinical method that can help to improve patient outcomes by carefully looking at some of the responses of the patient on the outcome form, selecting a particular activity that the patient has a problem with, and addressing such problem directly. In all of these, physical therapy EMR software is crucial to having a smooth process. If your current electronic medical record is not making a bold statement for your clinic, it is time to seek for a better one. However, the switch in physical therapy EMR software is not as easy as switching shops for your morning cup of coffee. You have invested so much of time and money in your current system, thus leaving could be more of a hassle than it’s worth. 3) Provide valuable feedback to each patient regarding his or her progress. Over the years, I have been able to discover that many patients want and appreciate therapist feedback on their recovery. This conclusion stems from the interaction with patients. On a regular basis, it is imperative to share with patients their outcomes, NPRS, and GROC scores, because this is valuable and not to talk of the fact that timely feedback enhances patient involvement and motivation for improvement. Using the outcomes has contributed to making better clinical decisions, and that has also helped patients’ overall outcomes and satisfaction rates. And with physical therapy EMR software in place–the best physical therapy software you can think of– outcomes can be determined more readily.